Interested in advertising your products or services to school communities, student renters, landlords and/or property managers? Our team can help! We partner with academic institutions and student associations to provide off-campus housing options for their students. 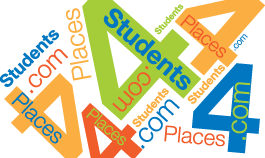 As each college and university's exclusive service, faculty & staff promote it and refer students directly to Places4Students.com. Our website receives 14+ million pageviews yearly and we are partnered with 160+ campuses throughout North America. Our Related Services page will attract school professionals, students and their parents, community members, landlords and property managers, student housing developers, apartment association members, affiliates and other suppliers. Click below to read more advertising information OR send us an inquiry email and a member of our team will be in touch soon!